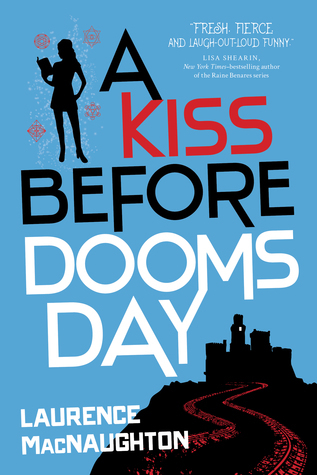 Today I am thrilled to welcome back Laurence MacNaughton to The BiblioSanctum for a chat about his new novel A Kiss Before Doomsday, the second book in the Dru Jasper series which is available today wherever books are sold. In case you missed it, last week I posted my review of the book so be sure to check it out and see how much I enjoyed this fun, quirky urban fantasy which stars a bookish sorceress whose power allows her to unleash the magical properties of crystals. 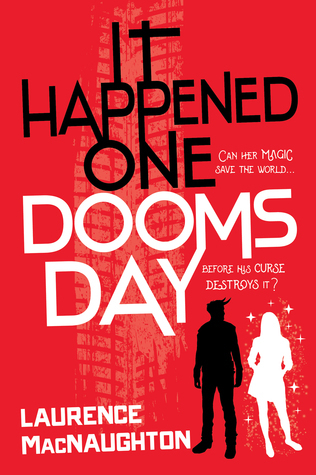 The end of the world is nigh, and once again Dru and her friends are going to do all they can to prevent it – trust me when I say you’re not going to want to miss this! My thanks again to Laurence for giving us some fantastic insight into his books and writing, and I hope you enjoy our Q&A! Hi Laurence! Thanks for the interview, we’re so happy you can join us today! Hi, thanks for having me here! Always a pleasure. Before we start, I think congratulations are in order for the release of your new novel A Kiss Before Doomsday! Since it’s the second book of your Dru Jasper series, can you kick us off by giving us a brief description of the books, and what prospective readers can expect? It’s a fun urban fantasy series about Dru Jasper, who owns a crystal shop in Denver, and discovers that she can use crystals to gain magic powers. Her friends (and enemies) are generally powerful sorcerers, more powerful than her. So she must use her brains and her giant library of books to save the world from one doomsday threat after another. In the first book, she stopped the Four Horsemen of the Apocalypse and found a handsome (but troubled) boyfriend. In the second book, the dead have started rising from the grave, her boyfriend is missing and presumed dead, and she has to find him in order to stop doomsday. It sounds dark, but it’s actually lighthearted and really funny. It’s fast-paced, there’s plenty of magical action, a little bit of romance, and laugh-out-loud banter. Can you tell us a bit about your creative process? How did you first get the idea for this series, and what spurred you to invent a magic system based on the metaphysical properties of crystals? I’d wanted to write an urban fantasy series for a while, but I set out to do something different with the magic system. Something no one had ever seen before. Taking more of a spooky-comedy approach was a fresh start, but I needed something more. But here’s the thing: in real life, galena is a lead sulfide, which is fairly toxic, but it can activate your immune system. So if you were an ancient Egyptian with an eye infection, and you put on your Cleopatra makeup, it’s entirely possible that the galena crystal would help you fight off the infection. There’s real science to back it up. There’s another crystal called ulexite that’s fiberoptic and transmits images. (Just search online for “TV rock” and you’ll see some examples.) It’s so cool. So I thought: what if I pumped up those properties to a super-power level? What if Dru could use ulexite to see the invisible? What if she could use galena to ward off evil demons? I just took that idea and ran with it. Definitely cool! What do you love about urban fantasy, and what do you hope your books will bring to the genre? Honestly, I just want to make people laugh, and tell them a good story. I love urban fantasy, but there are so many dark, hard-edged stories out there. I want to lighten things up. Personally, I tend to gravitate toward funny writers in any genre. Terry Pratchett, Dave Barry, even Dan Neil, the guy who reviews cars for the Wall Street Journal. They’re all hilarious. If I can get even a tenth as many laughs as those guys get from their readers, I’ll be satisfied. What made you decide to write this series from the perspective of Dru Jasper? And speaking of characters, I just love this quirky and unique cast! From Dru to Rane, Opal, Greyson, and Salem…everyone seems to have their own individual personality and charm. Where do you draw inspiration for your characters? Do you have any who are particularly near and dear to you, and why? My characters are all inspired by little moments I witness in real life. Maybe I overhear a fragment of a conversation, or watch someone do something unexpected, or I run into someone who has such a strong personality that they stick in your mind. I collect sort of a mental scrapbook of these moments, little fragments of individuals. As I write, I assemble these fragments into characters. In the beginning, these character concepts are a little hazy. So I ask myself questions about their personality, their background, their relationships, anything that helps define them. As they grow, it’s sort of like getting to know a real person, with a unique combination of strengths and faults. The funny thing about the Dru Jasper series is that the characters all came from various unfinished short stories. I had Dru in mind, but I needed other characters for her to interact with, so I pulled them all from my notes, and somehow they all fit together beautifully. They’re all so different and weird that there are plenty of opportunities for them to misbehave in highly inappropriate ways. I absolutely adore Dru. She’s a sweet mess. She can barely afford the rent, she has guy problems, and most of her friends and customers have far more magical power than she does. But she’s smart, she’s well-read, and she’s just such a darn good person. I know this is going to sound crazy, but I always feel like Dru is just eager to tell me her story, and I’m just scrambling to keep up. I also have a secret sweet spot for Hellbringer. Because: demon muscle car. And even though it’s not a person, it’s still an unforgettable character. When you were writing these books, did you do a lot of research into crystal magic? How did you go about it and what would you say is the most interesting thing you’ve learned? Are you a rock and crystal collector yourself? I can definitely say that I’ve become a rock collector! I live in Colorado, and most small towns in the mountains have some kind of a rock shop. You can just go in and dig through dusty cardboard trays full of various minerals and crystals. The sheer variety of crystals that exist in this world is absolutely astonishing. On my desk right now, I have a piece of transparent quartz with tourmaline inclusions. It looks like someone took a thumb-sized piece of broken glass and jabbed it full of shiny black metal splinters. It looks so weird and dangerous that I just have to put it into a book. And this is a real thing, a real crystal. That’s pretty much how all of the oddball crystals get into my books. I find something that looks cool, and then go research it to see what ancient beliefs I can find about it. Then I find a way to expand those beliefs into something epic and magical, and work it into the story. Are you also a fan of muscle cars? What prompted you to incorporate them into the idea of the Four Horsemen of the Apocalypse? I’m totally a car guy. In fact, before I became a writer, I was a professional test driver. That was fun. A little scary, but it gave me plenty of material to write about. A few years ago, we got my mean old Thunderbird out of storage, cleaned out the carburetor, and got it started. I had installed a tape deck at some point, and the moment the engine growled to life, the stereo started playing “I’m Evil” by Danzig. And I wondered: what if there was a car that was actually evil, as in, possessed by a demon? That’s where I got the idea for Greyson’s car, the speed demon called Hellbringer. From there, it was a short jump to having the Four Horsemen of the Apocalypse driving demon-possessed muscle cars. Now that I’ve picked your brain about your books, I’d love to know more about you, the author! Tell us a Laurence MacNaughton Fun Fact, or something about yourself that might surprise readers! I love to cook. Just give me a cast-iron skillet, a heap of raw ingredients, and a heat source: stove, grill, campfire, glowing-hot meteorite, whatever. I’ll cook up something tasty. My favorite go-to summer dessert is grilled bananas. Just cut a banana in half along the middle, leaving the skin on. Give the halves a quick spritz with cooking oil, and put them face-down on a hot grill for a minute or less to give them some nice grill marks. Then flip them over and cook over low heat, right in the skin, until they look soft and delectably gooey. Serve with your favorite toppings: honey, shredded coconut, cacao nibs, whipped cream, anything. Your taste buds will go into orbit. Bonus points if you lightly grill some wedges of angel food cake to go with it. Mmm. How do you balance life with writing? What do you do when you just need to kick back and relax? If I had my way, I’d be writing 24/7. But human beings aren’t meant to exist that way, so I make it a point to leave the house every so often. Since I live in Colorado, I have access to some of the most beautiful trails and high country in America, and I am very thankful for that. The hiking and biking is amazing here. Despite all the snow. I get some of my best ideas when I’m halfway up a mountain. I make sure to bring a pencil with me. What’s in the future for Dru Jasper? How many books are planned for the series, and is there anything you can tell us about the next one at this point? 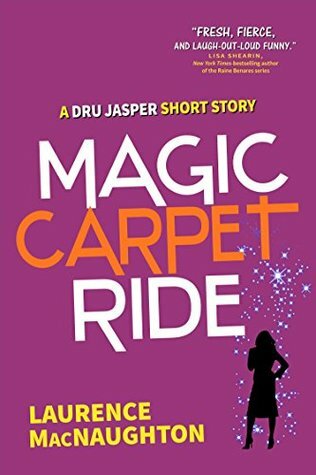 However, I can tell you that there are also two Dru Jasper shorts available: a novelette called Put a Spell on You, and a short story called Magic Carpet Ride, which is free to subscribers of my author newsletter at http://www.LaurenceMacNaughton.com. Wrapping up, are there any other projects you’re working on currently or in the near future that you’re excited about, either writing or non-writing related? Right now, I’m working on a book for writers called Instant Plot: How to Plan Your Novel the Easy Way. It’s based on a talk I’ve given several times at writing conferences, and it’s often a standing-room-only affair. Essentially, Instant Plot is a technique that any writer can use to work out the fundamental basics of a novel in one sitting. It sounds a little crazy, but it works. I can’t wait to share it. Thank you, Laurence! On behalf of The BiblioSanctum, I’d like to congratulate you again on the release of your new book and wish you all the best! Thank you so very much! It’s always a treat to be here. Great interview. I love the story about the inspiration behind Hellbringer. Great interview! I really should check out this series, since I have my own crystal / gemstone collection at home. It’d be fun to see how those stones are used in magical or “supernatural” ways. I love the idea of using crystals in the story, and little things like how mascara was invented make me want to jump into this series right away. Must read! I have an eARC of the first book, and I’m in the mood for some unique UF. Really enjoyed this interview – loved the concept of how he came up with the super-powered crystals! Yay, I hope you get a chance to check out the first book soon! 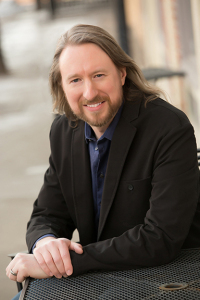 Hi there,I check your blog named “An Interview with Laurence MacNaughton, Author of the Dru Jasper Series | The BiblioSanctum” regularly.Your humoristic style is witty, keep up the good work! And you can look our website about daily proxy.